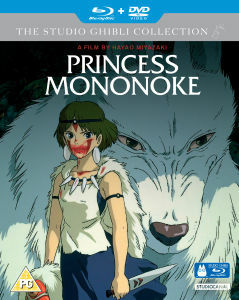 From the master director Hayao Miyazaki (Princess Mononoke), comes a remarkable fantasy adventure film quite unlike any other, the Oscar® winning SPIRITED AWAY. 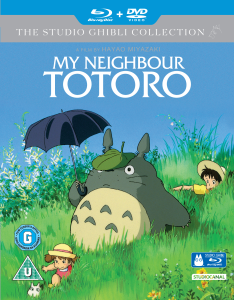 This visionary and much-loved classic sets the benchmark for all animation films and is now available for the first time on Blu-ray in stunning high-definition. Chihiro, a headstrong 10-year-old girl, is unhappy that her family are moving house and that she will have to make new friends. As they make their way to the new home, Chihiro’s father takes a detour to explore a mysterious tunnel in the woods. On the other side is what seems to be a deserted theme park but is in fact a ghostly town. Unwittingly, they have strayed into the Land of the Spirits, a world of dreamlike scenery inhabited by ancient gods and magical beings, ruled over by the sorceress, Yubaba. With her parents held captive and Yubaba set on enslaving them forever, Chihiro must use all her energy to survive in this strange new place. With the help of Haku, a brave young spirit, she is forced to overcome her fears and join an epic battle for her family’s freedom. Themost successful film of all time in its native Japan, SPIRITED AWAY is a thrilling and enchanting adventure for adults and children alike.